Did you know that BC families spend more on Spring Break camps than any other province? It’s not surprising considering how many amazing camps there are. However, if you’re looking to save a little money over the break, there are lots of free activities including this ground-breaking downtown Verus Art exhibition where you get to TOUCH the artwork. Imagine that? Talk about kid-friendly! Featuring state of the art recreations of celebrated masterpieces, the Verus Art collection encourages interaction (yes you can feel it!) bringing life to the often rule-bound gallery experience. 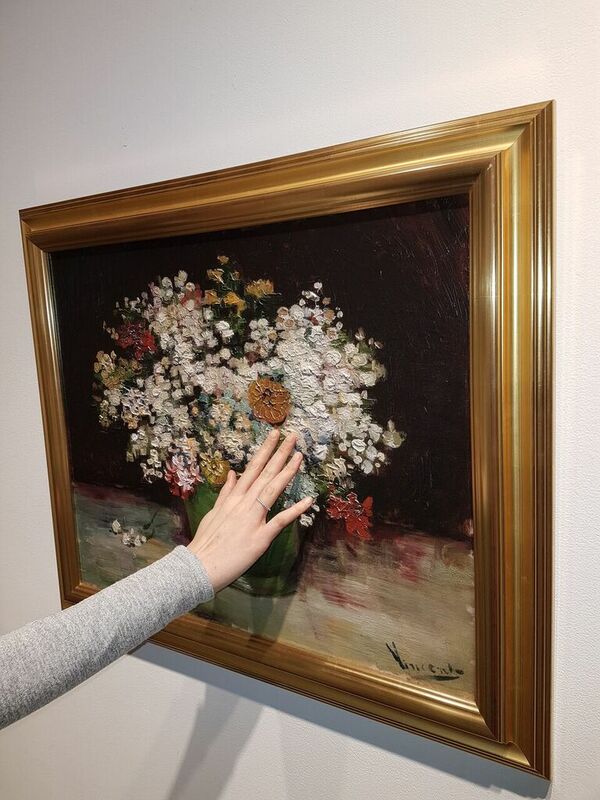 Have you ever dreamt of owning a Monet or Van Gogh to hang in your living room? The prospect of owning a masterpiece has been unachievable for most art lovers until now. The Verus Art collection features re-creations of iconic paintings by some of the world’s most famous historical painters including Van Gogh, Cézanne, Monet, Gauguin and Degas, with exciting new additions in the pipeline. Their latest addition, The Goldfinch by Carel Fabritius, was also just unveiled at their Vancouver launch last week. The transformation of the fine art reproduction industry from its 2D past to its 3D present has resulted in the ability for art lovers to experience timeless pieces by world renowned artists like never before. Verus Art’s ethical re-creations are virtually indistinguishable from the original making them the unrivalled choice for art enthusiasts who have previously only ever wished they could own a masterpiece of their own. This video demonstrates the fascinating art recreation process. Verus Art aims to change the way the world lives with art. They want to make art more accessible and bring people closer to the works of the world’s greatest artists. They help support museum conservation, outreach and education programs to ensure art and culture retain their importance. Now that’s something we can get behind! The full collection will be on exhibit until March 30 at Art Works Gallery (225 Smithe St, Vancouver, BC V6B 4X7) and admission to the gallery is free.